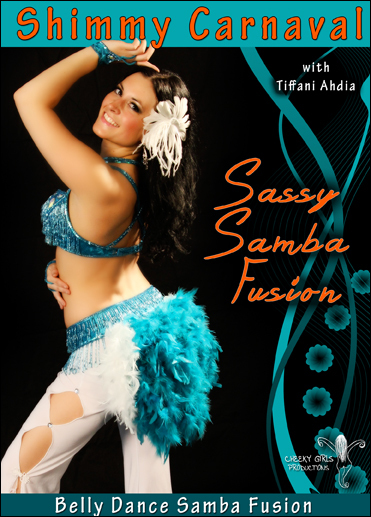 Tiffani is an internationally award-winning, professional bellydancer specializing in Egyptian, Turkish, Lebanese, folkloric, and Latin-fusion styles. She is based in the USA and loves to travel to new, exciting cultures! She is a passionate performer, imaginative choreographer, energetic teacher, and a Middle-Eastern artist in the truest sense of the word. Her affinity and knowledge of Middle Eastern dance makes her a highly sought-after instructor and unforgettable performer. It’s here!! Click here to buy Tiffani’s very own DVD, Shimmy Carnaval!! Check out this FREE mini mahraganat combo courtesy of Tiffani! Click here! SHOUT OUT! Check out these crazy awesome mahraganat artists!! Tamer w Michael invented dubshaabi and now are making mahragan rap, house, and more! Check them out at https://soundcloud.com/tamerwmichael! ANNOUNCEMENT!! Tiffani is now a promotional model for the luxury fitness wear brand Posto9! Click here to visit their website!! You also get a great discount for being my friend! Just type in Tiffani Ahdia when you order and get 10% off the whole order! CONGRATULATIONS!! Tiffani competed in the 2014 Masriyatt Festival in Toronto Canada and won the title of Masriyatt Queen! World renowned judges included Suraiya of Poland, Doaa Salem, George Sawa, and Sarah Skinner. Click here to see her award winning performance! EXCITING NEWS! Tiffani was chosen as the winner of the 2014 East Coast Classic Professional Cabaret competition in Williamsburg, VA! Click here to see her performance! Watch Tiffani’s premier in the reality show, Project Bellydance Season 2, click here!